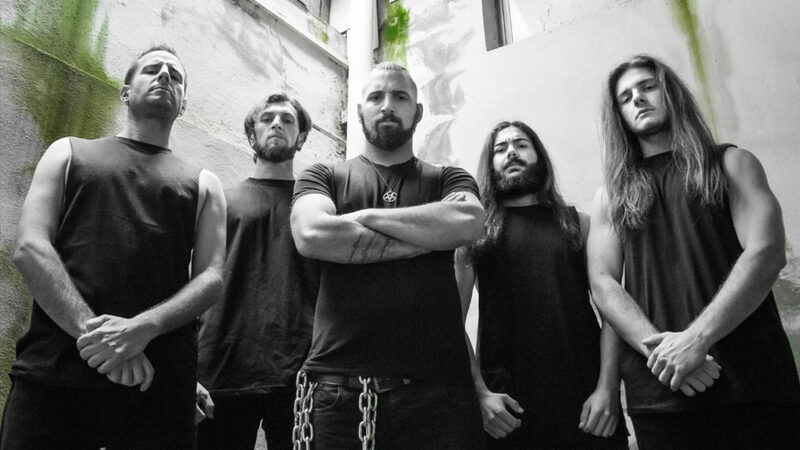 Italian Death Metallers Overactive are releasing an official track stream video for the song “The Call Of The Grave”, from their upcoming debut album “The Opponent”. Their contemporary sound results from the mix of technique, brutality and tight passages borrowed from the most technical forms of Metal. The band’s concept deals with a story of rebellion, evolution, magnification of disvalue in spirituality and moral authority, whose paladins are just like knights fighting against the decline of a rotten system, heralds of a brand new world in which all the metaphisic believes are far memories. Overactive‘s full-length is set for a 2018 release, and was recorded, mixed and mastered at 16th Cellar Studio (Fleshgod Apocalypse, Hour Of Penance, Decrepit Birth) by Stefano “Saul” Morabito. Lyric video produced by Cult Of Parthenope.